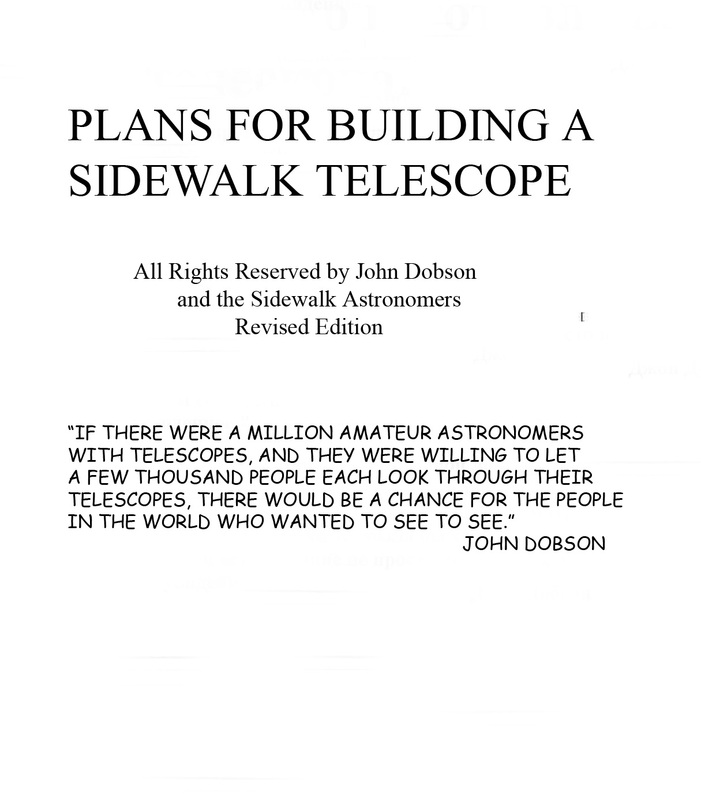 Telescope plans include grinding instructions and complete mount instructions. $10 donation covers the cost of printing and mailing. Copyright© by The Sidewalk Astronomers. All rights reserved worldwide.